If you are going to buy, sell or rent commercial/residential real estate in Russia, you are welcome to use the legal and consulting services of some of the largest real estate companies available. We found information about a range of companies which have been operating and providing their clients with comprehensive services on the real estate market for many years. These companies have databases full of properties that fit your needs and budget. INKOM-Nedvizhimost’ (Incom Corporation), one of the most successful Russian real estate companies, is a market leader in the Moscow area. They provide services such as buying, selling, renting, certification and expert object evaluation. The company has a wide network of offices and is dedicated to providing high quality reliable services. INKOM-Nedvizhimost’ has been on the market for more than 20 years; they have developed a unique client experience that provides real estate services with a focus on minimizing risk. In St. Petersburg however, Petersburg Real Estate Agency is the most well-known and reliable real estate agency. The company has been operating on the local market and Leningradskaya Oblast for more than 18 years. At the moment, the company is an integral part of the investment and building holdings company SetlGroup; which is rightfully considered to be a leading financial and industrial association of the Northwestern Federal District of Russia. SetlGroup is a member of a number of influential associations including the Association of Realtors of St. Petersburg and Leningradskaya Oblast. Among other services, the company offers flats in forty new premium apartment complexes. The company is working on both the newly built and pre-owned real estate markets. They are leading on the fronts of sales volume with much success – at least for the time being. The Investment & Development holding company “MIEL” was founded as the company “MIEL-Real Estate” in October 1990. At present, it is one of the oldest and largest Russian real estate companies. The firm “Miel” was established on October 17, 1990 in Moscow. “Miel” was transformed into an investment and development holding company in 2005. CENTRAL INFORMATION REAL ESTATE AGENCY (CIAN) is the largest apartment search website in Russia. You can find relevant information about real estate in Moscow, St. Petersburg and other cities and regions in Russia on there. Also cian.ru offers advertising of sale of apartments and cottages of various price categories. CIAN is constantly being updated so visitors can find actual real estate selling/renting offers. ADVECS Real Estate Corporation was founded in September in 1993 in St. Petersburg. The company has become one of the most reliable and well-known Russian real estate agencies. It is also considered to be one of the best service providers in the St. Petersburg property market. The company’s activities comprise of residential, commercial and suburban newly built and pre-owned real estate. In particular, ADVECS Real Estate Corporation is focusing on the rental real estate market in St. Petersburg, in which demand grows every year. At the moment Advecs Real Estate works not only in St. Petersburg; subsidiaries are now open in Tyumen, Voronezh and Nizhniy Novgorod. The agency won two nominations in the national contest “Professional Recognition-2008”: the best agency at sales, as well as on the rental market in the Northern Venice (St. Petersburg). Itaka Real Estate Agency provides private clients and organizations with a full range of real estate services in the North-West of Russia. One of the main advantages of Itaka Agency is a unique, constantly evolving network of the agency’s branches. Today more than 1500 specialists work in forty offices of the agency located in St. Petersburg, in all districts of Leningradskaya Oblast’ and in Pskov. They provide different services such as buying and selling on the preowned market, and exchange of apartments and rooms. 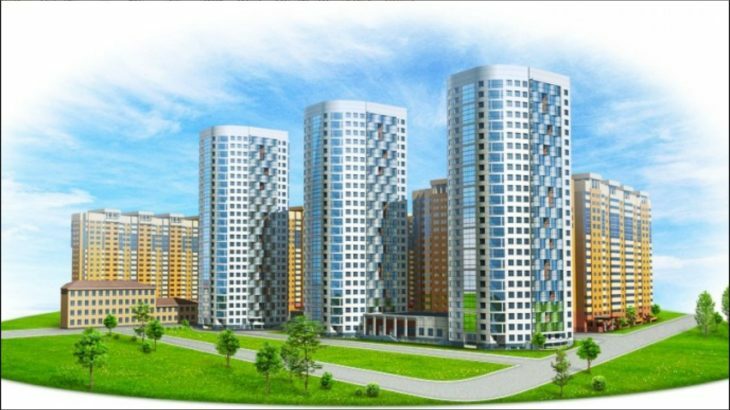 You can buy apartments in newly built apartment buildings in St. Petersburg and affordable high-quality housing in Leningradskaya Oblast’ through this agency. You can rent apartments, rooms, and country houses for summer. It can be a long-term or daily rentals. Country real estate includes a wide selection of country houses, cottages, and plots in Leningradskaya Oblast’. Commercial real estate includes offices, shops, premises which you can sell or rent. Elite real estate consists of an extensive range of apartments on the basis of your individual requests. The agency offers assistance in purchasing apartments in elite houses. You can also invest in real estate. Itaka agency offers assistance of an investment adviser. Customers also can purchase real estate abroad. BEST-Realty agency was founded in 1992 and today it’s a leading real estate company in Moscow. BEST-Realty is one of the oldest real estate agencies in the capital of Russia. This agency can help you not only buy an apartment or a house but also sell real estate at a maximum profit. The real estate agency Domostroy was established in 1994 at the time of appearance of the real estate market in Russia. The market was developing, the company was growing, the limits of its activities were expanding. Today the real estate agency Domostroy-Real Estate is a holding company which allows to embody its own investment projects and provide companies-partners with services. Glavmosstroy Real Estate is the only real estate branch of the corporation and has vertically integrated construction holdings. It has been operating successfully since 1996. Glavmosstroy Real Estate is a company that provides a full range of services in the real estate market when conducting real estate deals. The real estate agency AZBUKA NEDVIJIMOSTI is one of the largest real estate agencies in Moscow and Moscovskaya oblast’. The agency provides a full range of real estate services. The company successfully resolves any tasks related to real estate. AZBUKA NEDVIJIMOSTI has been operating in the real estate market since 1997 and currently has 7 branches in Moscow. Business best real estate companies in russia, real estate agents in moscow russia, real estate agents st petersburg russia, russian property agents. permalink.